The Justice Department dropped a bundle of new policies last Friday about evaluating compliance programs and corporate monitors, with potentially significant implications for corporate compliance officers and the programs you run. Brian Benczkowski, assistant attorney general for the Criminal Division, announced the news during a speech he delivered in New York on Friday. Always be suspicious of a Trump Administration official making statements just before the weekend, but let’s parse what he said anyway. Foremost, the Justice Department is rescinding Obama Administration policy about when prosecutors might impose a compliance monitor, in favor of new Trump Administration policies that build on older ones adopted by the Bush Administration. The Benczkowski Memo lists a few other actions prosecutors should consider, too. For example, did the misconduct in question happen under previous senior leadership? Did it happen “within a compliance environment that no longer exists within a company?” Did the company take remedial measures such as cutting ties to offending third parties? I can’t tell whether we should interpret that sentence as pushing prosecutors to be firm (“you should have known better about working in that part of the world”) or to be easy (“that’s just the reality of doing business in that part of the world”). But again, we’re talking about the Trump Administration here. I think we all know the safer conclusion to draw. Benczkowski noted in his speech that over the last five years, corporate monitors have only been appointed in about one-third of corporate misconduct settlements anyway. Clearly he wants that number even lower. Let’s boil the Benczkowski Memo down to one core message: if a company can demonstrate that it has cleaned up its act, the Justice Department won’t appoint a monitor. So what does that mean for compliance and audit programs on a practical level? Well, those words imply that firing executives who condoned or participated in the misconduct is something companies should do. If that’s what Benczkowski means, compliance officers should be all for it. Holding people accountable for misconduct is a hugely important part of effective ethics and compliance programs. 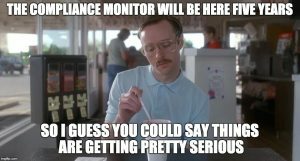 Offering the reward of no compliance monitor is a sensible incentive to that end. 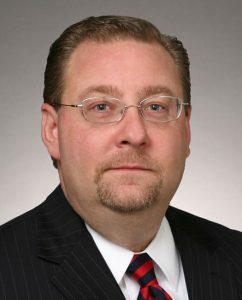 Of course, Benczkowski’s words can also mean the Justice Department won’t appoint a monitor for misconduct that happened in a subsidiary the company acquired before the company acquired the business — and lord knows, we’ve seen inherited liability concerns in plenty of FCPA enforcement actions over the years. One of Benczkowski’s deputies, Matthew Miner, gave a speech in July about extending the FCPA Corporate Enforcement Policy to inherited liability, raising the same issues Benczkowski does here. We can imagine a few possible implications for compliance officers. First, your role in pre-acquisition due diligence might diminish, if the Justice Department retreats from imposing penalties for misconduct that happened prior to acquiring the subsidiary. (That’s certainly the message I take away from Benczkowski and Miner’s comments.) Corporate dealmakers might decide they can worry less about compliance pre-acquisition, because punishment for missing an issue won’t be there. That’s not a good idea, but juicy M&A deals make people do crazy things. Still, that idea will only make sense if the corporate dealmakers also give you a greater role post-acquisition, to get that new compliance regime rolled out across the subsidiary pronto. Then the issue gets discovered, the C-Suite can sack any subsidiary-level nincompoops who had been violating the law, and the company has met crucial criteria for Benczkowski’s no-monitor-necessary standard. We also need to remember who within the Justice Department might be evaluating your internal controls, too. Benczkowski’s other morsel of news from Friday was that the Justice Department will not name another in-house compliance counsel to replace Hui Chen — the department’s first (and now apparently only) compliance counsel, who resigned in 2017 because President Trump is an unethical jerk.